Mango is a juicy fruit with a stone and belonging to genus Mangifera. It is inherent to Tropical Asia and commonly used in India. It is used in desserts and various cuisines. Mango is a national fruit of India. It is the tropical fruit which naturally grows in hot climates of Southeast Asia and also does well in parts of Australia and South America. Dried mango term indicates the dried form of fruit mango that comes from mango tree with its scientific name as Mangifera indica. 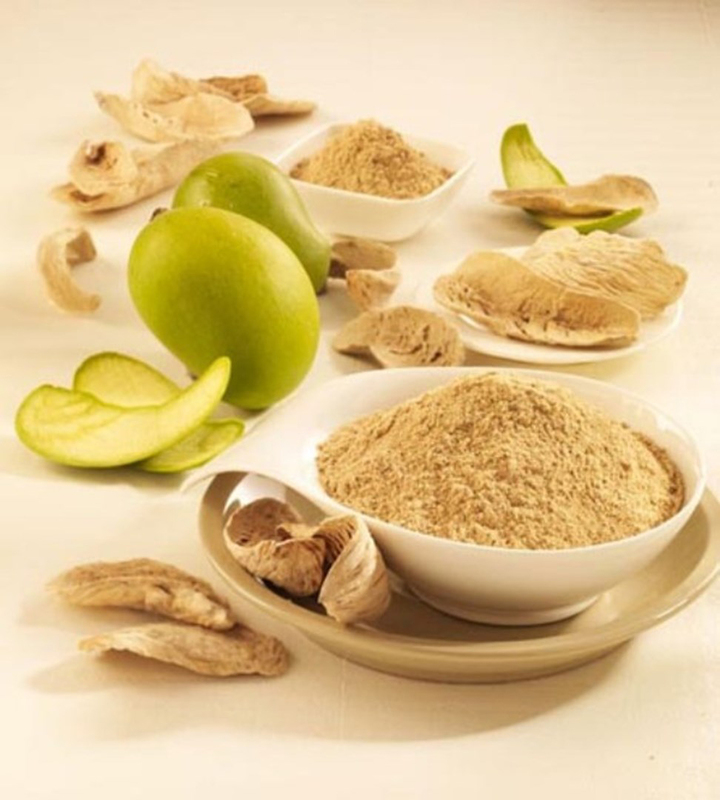 The fruits are dehydrated or dried naturally and have long shelf life after the moisture has been eliminated. 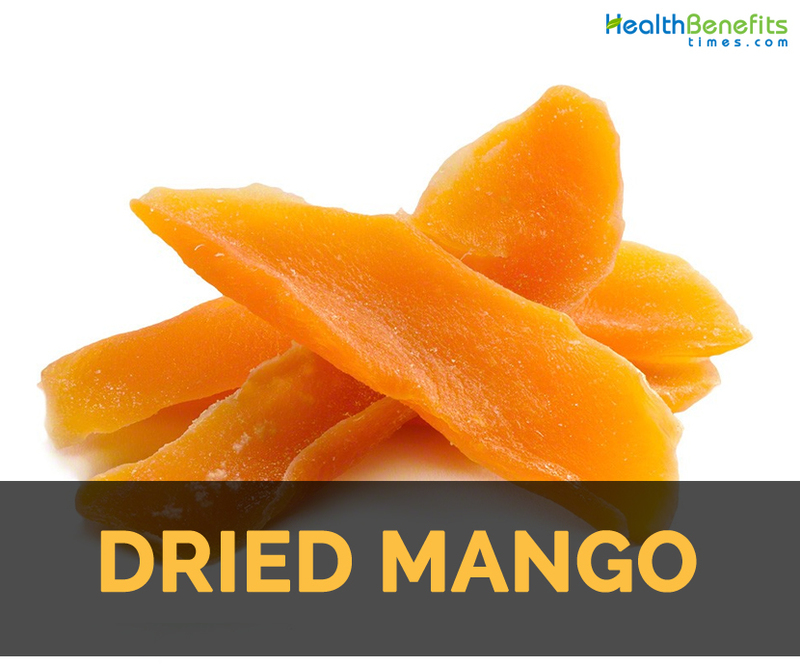 Dried mango is considered to be the most beloved dried fruit but should be consumed in moderate amounts. It contains high amount of calories. It possesses various nutrients such as Vitamin A which assist in regulating metabolism, iron and calcium. The drying process deprives water soluble vitamins such as Vitamin C. Dried mangoes lack moisture. During the process of sun drying, it is rubbed with salt. Originally, the fruit is preserved by drying thin slices of mangoes in wooden planks by facing towards the sun. Dried mangoes can be sweetened with other fruit juices or sugar to improve taste and retain the color during drying. This method is still being used though industrial drying machines are innovated. Dried mangoes are usually used for desserts or as snacks. It could also be served as appetizers or desserts. 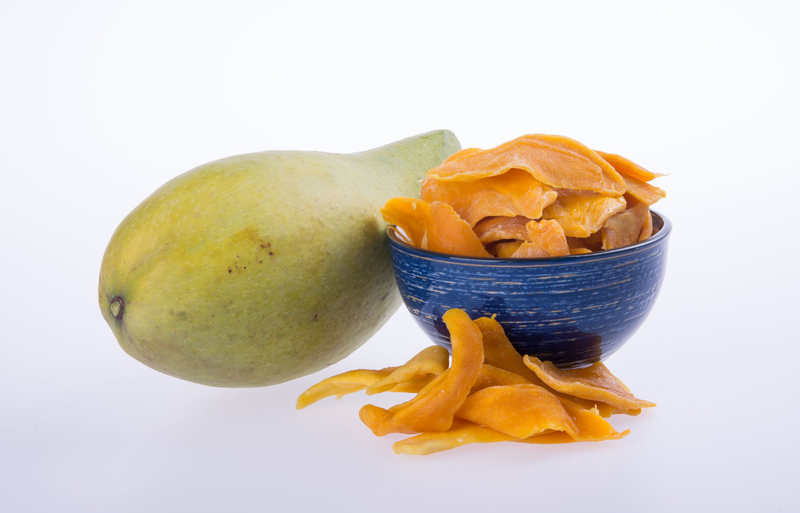 Dried mango offers high content of dietary fiber which makes one full for long time period and assists digestive health. It has high content of Vitamin A which helps to maintain health of skin and mucous membranes from viruses and bacteria. It enhances eye health by lowering the chances of macular degeneration that is the leading cause of blindness. 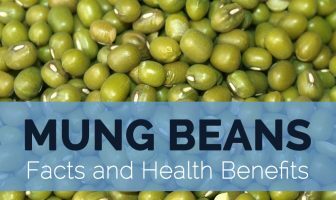 Besides this, it is a great source of vitamin B complex that converts food into energy, improves production of red blood cells and also relieve stress. Dried mangoes are rich in soluble and insoluble fiber. Soluble fiber assist in absorption of nutrients, stabilize blood sugar levels and lowers LDL cholesterol level. Insoluble fiber promotes digestive health. Rich in antioxidants, it is a great source of protective compounds which counteract oxidative damage caused by free radicals. Mangoes contain phenols such as isoquercitrin, quercetin, fisetin, astragalin, methylgallat and gallic acid that possess cancer preventing properties. Study has shown the association between high consumption of fiber and reduction in chances of gastrointestinal tract cancer. The serving size of 165 gm of sliced mangoes incorporates 76% of daily recommended intake of Vitamin C. Vitamin C is an antioxidant that prevents free radical damage and lower the chances of cancer. It contains Vitamin C, Vitamin A and beta-carotene that promotes radiant skin and provides relief from skin conditions such as acne. Mangoes are well known ingredient in natural skin treatments such as exfoliating skin scrubs, nourishing face masks and gentle cleansers. Studies have shown vital role of vitamin A in skin health, wound healing, cell reproduction and skin growth. Deficiency of Vitamin A is the cause for scaly and dry skin. The supplements of Vitamin A are recommended for people with psoriasis and acne. Vitamin C stimulates collagen production which makes the skin supple and smooth. The diet with high content of Vitamin C lowers the appearance of wrinkles and dry skin. Beta-carotene lowers oxygen damage caused by UV light, environmental toxins, pollution and promotes the sunscreen efficacy. Research shows that supplementation of beta-carotene for 10 weeks could lower sunburn and provides SPF of four. Dried mango has high content of soluble fiber that lowers the absorption of glucose by the body and promotes the absorption of excess glucose as a fuel. It enhance metabolism and assist in losing weight simultaneously. Leptin is a hormone that promotes fat metabolism in liver and also absorption of glucose of cells. Adiponectin is a hormone which assists in regulation of appetite and promotes satiety. The cholesterol levels could be cut down with healthy and balanced diet. Our diet should be rich in vegetables, fruits, wholegrain cereals and low in saturated fat. Dried mango is rich in vitamin C, fiber and pectin that overall lowers total blood cholesterol levels. It also contains limited potassium which balances fluid in the body, relax blood vessel walls, controls heart rate and prevents high blood pressure. High blood pressure is called silent killer because it rarely shows signs and symptoms. It affects more people and increases the risk of getting stroke and heart attack. 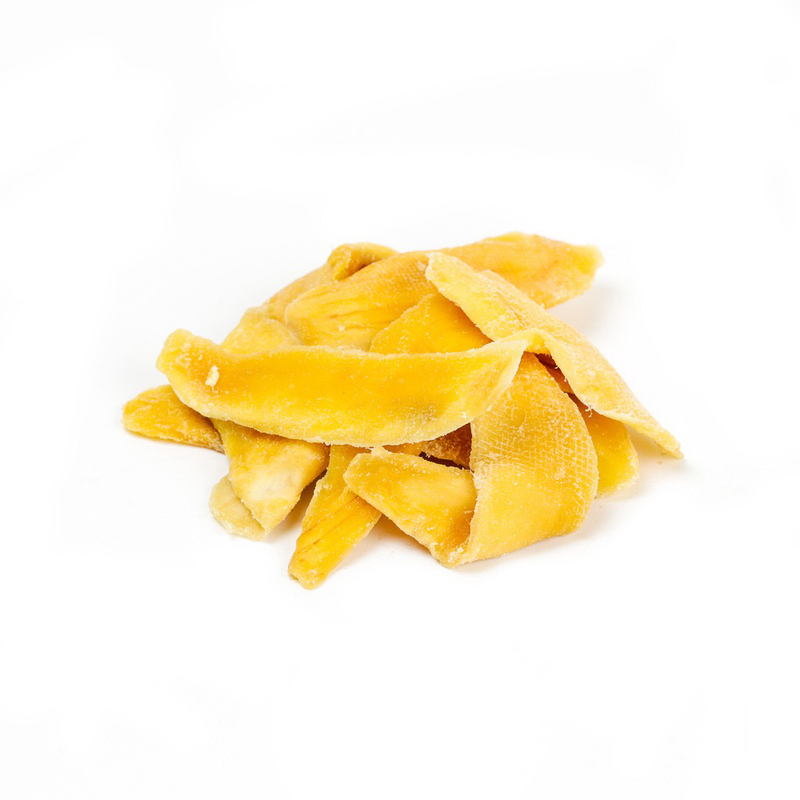 Dried mango possesses vitamins and more than 25 carotenoids that assist to maintain healthy immune system. It has Vitamin C which protects cells and promotes immunity. Study has shown that vitamin C prevents from cancer, cardiovascular, eye health, stroke and immunity. Dried mango also contains Vitamin A that assists to counteract viruses causing HIV, respiratory viruses and measles. 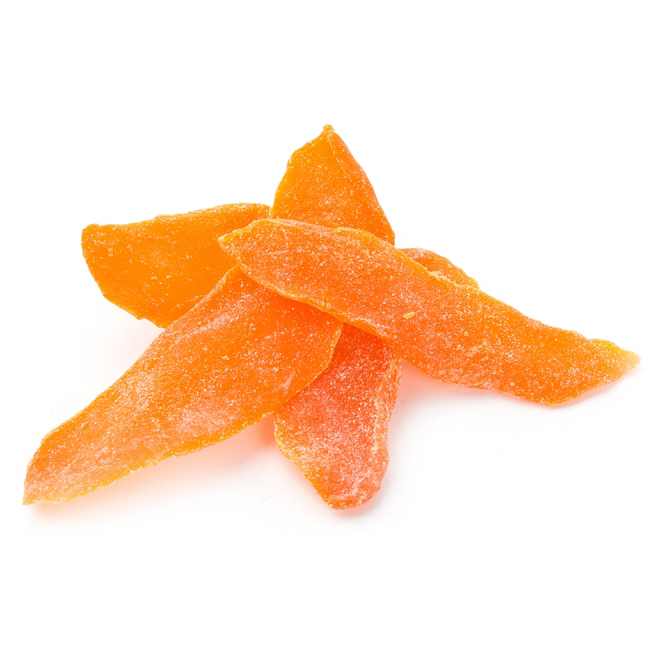 Carotenoids found in dried mango provide antioxidant properties which is useful to treat and prevent chronic ailments. 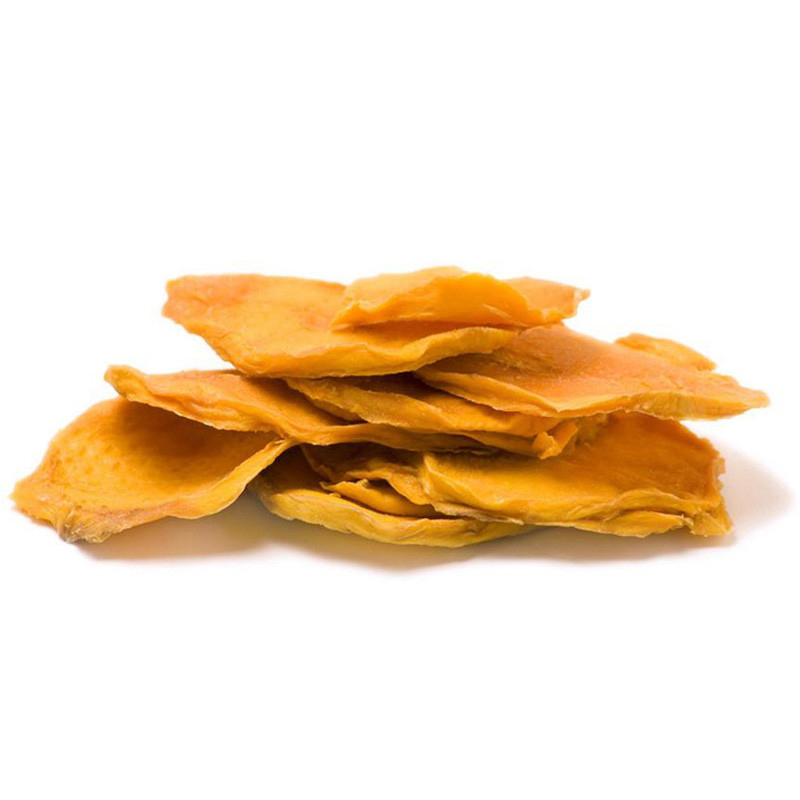 Dried mango has malic acid, tartaric acid and small amount of citric acid which balances alkaline. The balance of non-acids and acids in body’s tissue and fluids which determine pH levels. Dried mango is a great source of Vitamin A which improves scotopic vision but promotes color vision. Dried mango is rich in calcium and iron. Iron is essential for formation of DNA and assist haemoglobin which carries oxygen around bodies. The deficiency of iron lowers the number of red blood cells and triggers anemia that causes lethargy, tiredness, heart palpitations, shortness of breath and visibly pale complexion. Women lose blood in their monthly period so women require 18 mg of iron per day and men requires 8 mg. For pregnant women, sufficient amount of calcium is essential for bones and teeth of the baby. Deficiency of calcium causes osteoporosis which is a condition affects bones by making them fragile and weak and is related with post-menopausal women. How to make Dried Mangoes? In a small bowl, combine honey and lemon juice. Stir till the honey becomes dissolved. Peel and slice mangoes thinly. Dip it into the lemon or honey mixture and shake off excess. Put it on dehydrator sheets. Dehydrate at 135 degrees for 10 to 12 hours. 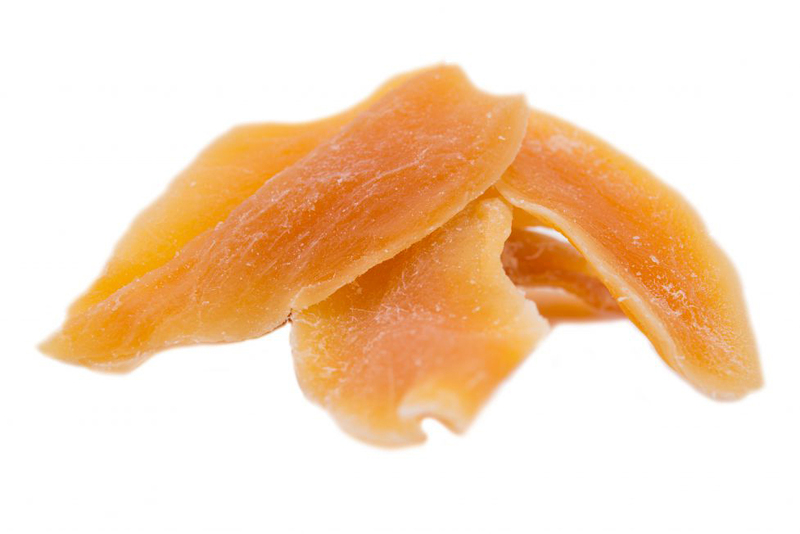 Dried mangoes can be consumed on its own. 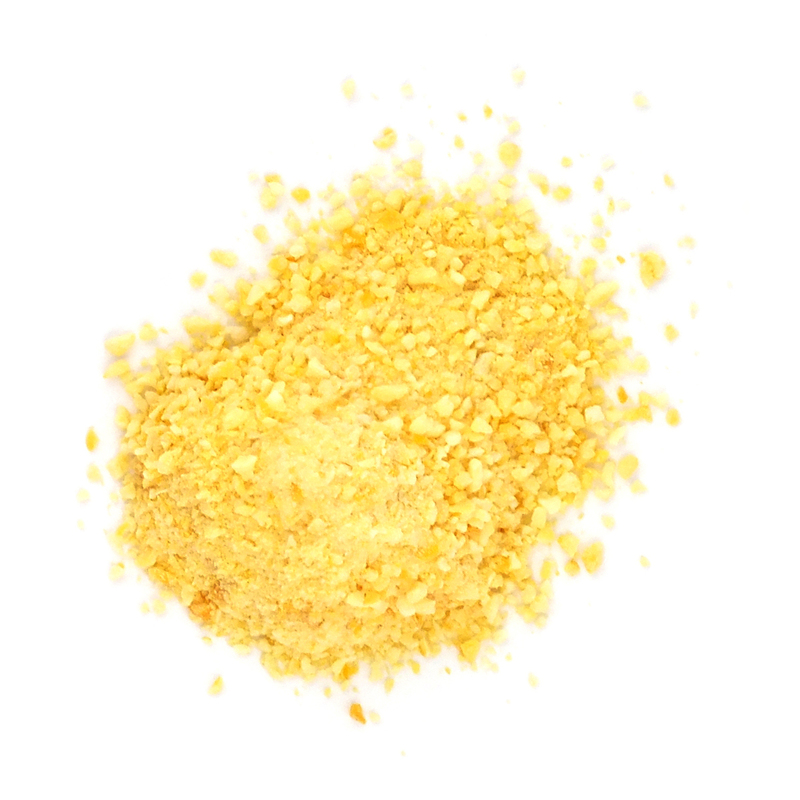 It is used in baking, added to salads or cereals and as a topping for ice cream. Add it to granola and trail mixes. Add dried mangoes to chutneys, curries, muesli, cereals and cakes. Rehydrate dried mangoes and refrigerate it with chopped onions, lime juice, tomatoes and salt for two hours. Then serve it with pork or grilled chicken. Make dried mango pilaf by mixing rice, diced dried mango, broth, salt, water and onion in a saucepan till the rice is cooked. Then toss it with oil, cumin, basil and peppercorns in a frying pan. It is also used a substitute for tamarind and kokum in dals, rasams etc. Dried mango is a vital ingredient in thai cuisines. People who are allergic to mangoes should avoid it. Excessive consumption might result in weight gain. High consumption of dried mangoes causes the blood sugar to rise. Calories in 1 Value (100 g) 319 Kcal. Calories 319 Kcal. Calories from Fat 10.62 Kcal.